Demand for extractive resources in Victoria in 2018 has been tracking above the previous high demand forecast, according to the State Government’s Extractive Resources Strategy document. At this rate, the document – released in June – says demand would increase to over 100 million tonnes per year by 2050, more than doubling annual production in 2015. 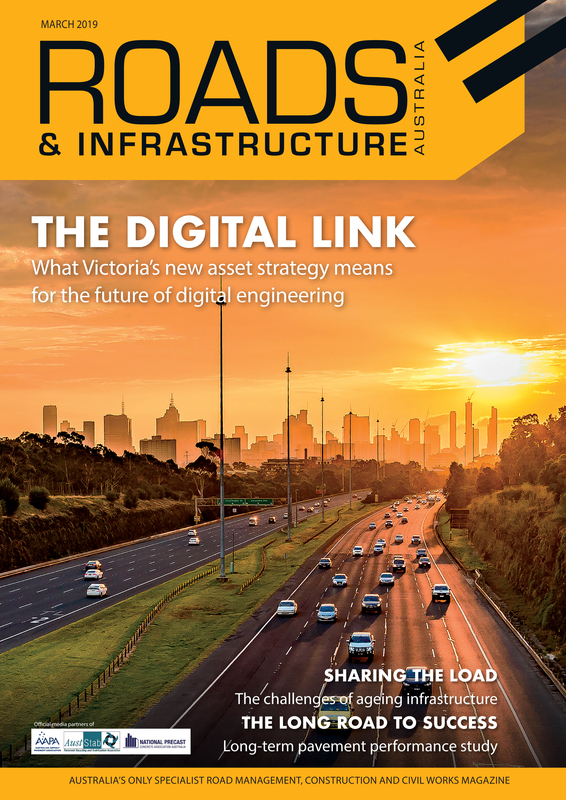 The demand for these resources – used to deliver many of the major infrastructure projects across the state – is at an all-time high, so much so that the Victorian Government has outlined the Extractive Resources Strategy and invested nearly $16 million into it over the next two years to address the state’s growing need for resources. “We must act now to secure our extractive resources: the sand, rock, gravel and clay that will be used to make the bricks, concrete, buildings and roads of tomorrow. Otherwise, we risk building over these crucial resources and they will become inaccessible,” Victorian Minister for Resources Tim Pallas states in the strategy’s foreword. 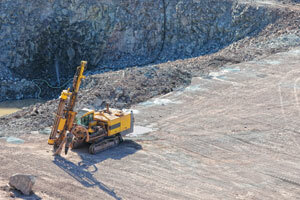 While the state government has set in motion a new strategy and action points to address the rising demand for quarry resources, other government agencies and industry have risen to the current resources challenge. According to the Recycled Products in Pavement Construction business case published by Sustainability Victoria in 2015, the use of recycled products in pavement construction introduces an opportunity for councils to better manage the future cost of road construction and maintenance. “Currently in Victoria, over 500 quarries produce around 500 million tonnes of heavy construction materials per year in a competitive marketplace. Each Victorian requires on average 8 tonnes per year of quarry material to support the building of roads, houses and other infrastructure to service their needs. However, viable locations for future quarries are becoming increasingly limited as urban development and environmental constraints limit access to some known virgin resources”. It says continued demand for construction materials will, over a 10- to 40-year period, exhaust the supply from some existing quarries, forcing the supply of Victorian quarry resources to move progressively further away from demand. The business case outlines a few different benefits to recycled products compared with traditional quarry materials, including by way of performance, cost and long-term environmental and sustainability benefits. 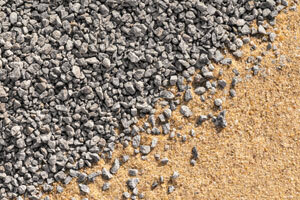 While using recycled crushed concrete, asphalt pavement and brick and glass fines may be effective in reducing the amount of virgin quarry resources used in pavement construction and maintenance, a new Austroads report suggests there are other alternatives that can also help alleviate the resource strain on road builders and asset managers. 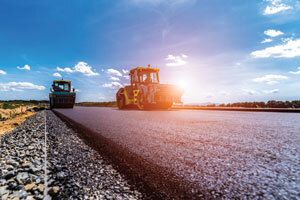 Published in July, Austroads Report AP-T335-18, Appropriate Use of Marginal and Non-standard materials in Road Construction and Maintenance, identifies these concerns associated with finite resources and current sources being exhausted. “A major challenge facing road agencies is the increasing shortage of quality quarried materials and natural gravels for road construction and maintenance”, the report reads. “Gravel quarry products are being transported over longer distances, resulting in escalating costs for road construction and maintenance”. “Some agencies are now paying for access to previously free materials. This problem has been exacerbated by the trend towards tighter environmental legislation, quarry operation legislation and land access requirements, which are adding to the costs and limiting the opportunity to commission new quarries and open new gravel pits”. The report asserts this is an issue for the management of unsealed roads, too, as the rapid depletion of gravel pavement materials and demand to accommodate increasing traffic is unsustainable. The report explores the issues as well as the basis for the use of marginal and non-standard materials in sealed roads, considering the factors affecting performance. According to the report, marginal and non-standard road building materials generally comprise naturally-occurring gravels and weathered rocks. It explains that, while these materials may not strictly comply with standard accepted specifications, they are known to successfully perform as granular base and subbase materials and may be ‘fit for purpose’ and perform within a given road environment. “When people say marginal material, they mean ‘on edge of’, and if we allow the criteria to move slightly these materials can become acceptable,” Tyrone Toole, ARRB Chief Technology Leader, Sustainability and Resilience, who also helped prepare the report, says. Mr. Toole says these kinds of materials could have supportive properties that work in different ways, but current specifications don’t test those aspects. Mick Savage, Roads and Transport Directorate Manager – Institute of Public Works Engineering Australasia (IPWEA) NSW and Project Manager on the Austroads report, says that, in general, the standard specifications state road authorities and local government use for building roads raises a couple of questions around the use of marginal and non-standard materials. “Is that specification the right specification for all classes of roads? If we’ve got a lightly trafficked local road does that need to be built to same specification as state roads?” he asks. He says the industry relies on specific standards that, if altered to allow for different materials, could still meet the requirements of the specification, but could provide many benefits in regards to performance, cost savings and ultimately, the use of more accessible and locally-sourced resources for a project, reducing the resources strain. However, Mr. Savage asserts that this has always been an issue that road constructors and managers have had to deal with. “What’s changed is recent legislation but also financial restrictions, meaning that we can’t keep using precious materials for all of our road networks because they’re just not available,” he says. The question is: could there be a sort of guideline, or at least a set of principles, which allow road designers to look at locally-available materials and assess other options or provide alternatives? The aim of the report is to address these issues, and provide evidence and subsequent guidance on the effectiveness of using locally-available marginal and non-standard materials in place of materials to a specified standard. The project team was also tasked with identifying opportunities to amend material specifications to allow these lower-specification materials to be used in relevant circumstances. Over the course of developing the report, the project team found that a range of practitioners had developed an understanding of marginal and non-standard materials in road construction and used them successfully in the past, mainly through many years of trial and error. There are also cases of rational evidence-based monitoring. Mr. Toole says examples of the materials’ success for sealed roads has been in some of Australia’s more challenging and riskier climates, including those prone to cyclones and floods. “However, lots of examples were anecdotal – there is no record of their approach and much of this information is lost when an engineer or road manager retires or moves on,” Mr. Toole explains. “What we set out to do was collect as much information as possible of historic use of marginal and non-standard material use. Similarly, Mr. Savage says there was evidence of the successful use of marginal and non-standard materials and the advantages this can have for asset managers, especially for unsealed roads. Mr. Toole points out that many practitioners in the past didn’t tend to use soil testing procedures to determine the characteristic of these materials. Instead, their decisions were often based on insufficient data and how to modify use through various stabilsation techniques to maximise the use of the locally-available materials. He says a major aim for the project team going forward is to corroborate all of this anecdotal evidence and build a database for the use of these materials. “We need to quantify the performance characteristics of the material to be able to assess its use. We still need to do more work to bring them into a quantitative process where that information can be shared,” Mr. Toole explains. “It’s surprising to to me that there had been such a loss of grip on research around the use of these materials – there are home-grown, evidence-based solutions we can use,” he says. “Capacity knowledge and information – a ‘material inventory’ of sorts – is very important. What we’d do with this data already available is create some kind of repository of information for building more datasets to aid selection and use,” Mr. Toole explains. While anecdotal evidence has shown there is successful use of marginal and non-standard material use on Australian roads, the report team identified international experiences as a key source of information on the subject. The report asserts that the need to make better use of locally-occurring materials has been well-recognised internationally and has stimulated significant interest and studies, with many comprehensive and well-documented examples taking place in Africa. The project team also drew largely on the United Kingdom’s Transport Research Laboratory studies in this area. “There was a fair amount of corroboration in these examples, but also cases where practitioners said: ‘let’s take a step back here – should we reassess our anecdotally-based construction methods?’, which was good,” Mr. Toole says. There are also a number of recent initiatives in Australia in response to the challenge of managing low-volume roads, which the report says provide the most fruitful opportunities of optimising the use of marginal and non-standard materials in sealed roads. These include the NACoE Project P34 ‘Performance-based Evaluation Protocol for Non-standard Granular Pavement Materials’, Austroads Project TT1819 ‘Improved Laboratory Characterisation of the Deformation Properties of Granular Materials’ and studies from Main Roads Western Australia on the use of the materials. Work by the Queensland Department of Transport and Main Roads, and on behalf of local government, has also led the development of supplementary specifications for non-standard materials which set revised limits to the use of locally-occurring roadbuilding materials. While research projects are taking place and are ongoing, both Mr. Toole and Mr. Savage assert that there is still need for more availability of evidence-based specifications and guidelines for the use of marginal and non-standard materials in road construction and maintenance in Australia. However, the report outlines the importance of the ‘acceptance status’ of different tiers of documents and the challenge that arises from the distinctions between differing specifications around marginal and non-standard material use. The report proposes a simple hierarchy of publications to illustrate the status of support in particular countries/regions and states/territories. Likewise, it proposes a number of take-home messages for asset managers going forward on the basis, definition, assessment and use of marginal and non-standard materials in road construction and maintenance. Mr. Savage says a few important points came out of the project for him. “Good pavement design is really important in good material performance in this context, particularly around drainage design. Most factors affecting the performance of these roads is water getting into pavements,” he says. He adds that the final point is that industry needs to allow for alternatives for construction techniques in specifications to encourage the most optimal outcomes. Mr. Toole says a next step is getting project engineers and geotechnical engineers working more closely together. He says if a large database of marginal and non-standard road construction material and their properties is widely available, people will use it. “You could pick out what material works and even how it works with other materials,” he says. “There are more people out there that are practitioners of these materials, but we need to communicate their use and outcomes to the whole engineering community,” Mr. Toole explains.